The Lifespan Lab is located in the Brown Social Science Center. 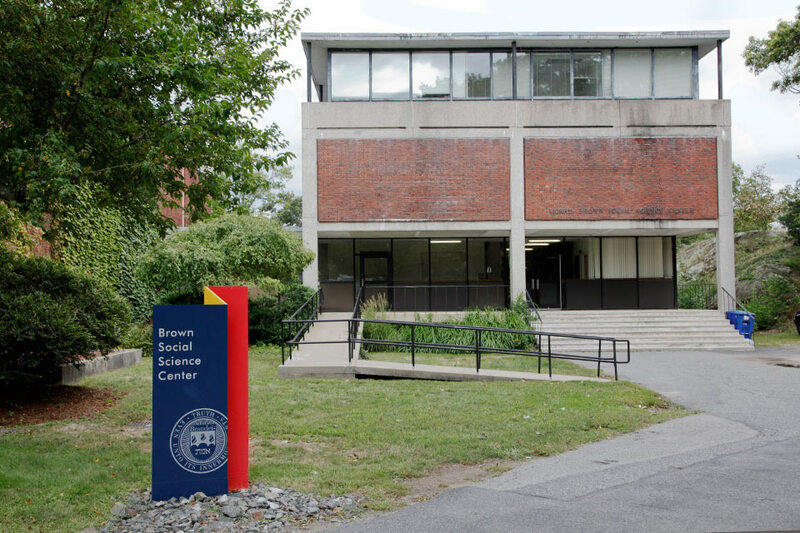 Get directions to our offices and the Brandeis campus. Turn from South Street into the Brandeis main entrance. From the main entrance, take a right onto the main Loop Road and go straight up the hill. On the left you will see a four-story residence hall. The road will curve to the left. Immediately after the residence hall, take a very sharp left (it is a hairpin turn), which will take you around the front of the residence hall. Take your first right up the driveway to a small parking lot. There is a gate and call box at the entrance to the parking lot where you will be asked to give your name. Push the speaker button to talk to an attendant in the parking office, give them your name and they will open the gate. Proceed into the parking area. The last two spots are designated as parking for Psychology Research Participants. Please park here. If those spots are not available, you can park in any of the other spots. Enter through the Schwartz Building entrance located at the end of the lot, facing the Usdan Student Center (a square façade will be on the side of the entrance). Follow the hallway, and you will enter Brown (which is attached). Take your first left, pass the Psychology Department office through the double doors, and the lab will be the third door on the left (room 117). From the train station, turn right onto South Street, walk over the hill, and enter through the main entrance to Brandeis on your left. From the main entrance, take a right on the main Loop Road and go straight up the hill. You will pass the Science Complex on your left. Take the first left after passing the complex before passing the Science Parking Lot, and bear right up the hill. At the top of the hill, you will see a four-story residence hall on your right and the Lemberg Building on your left. After the Lemberg Building, turn left and follow the driveway up to a small parking lot. The Usdan Student Center will be to your right, the Brown Social Sciences Building and Schwartz Building (which are connected) will be to your left. Enter through the Schwartz Building entrance located at the end of the lot, facing the Usdan Student Center (a square façade will be on the side of the entrance). Follow the hallway and you will enter Brown (which is attached). Take your first left, pass the Psychology Department office through the double doors, and the lab will be the third door on the left (room 117). If you have questions or problems regarding finding the lab, please call the lab manager Vicky Sorrentino at 781-736-3284.